Where to start? Allan Nachman can trace his path to the Butzel Award — Federation’s highest recognition of enduring community leadership — through a long and remarkable record of service to Jewish Detroit and beyond. Quietly and consistently — through more than six decades — Nachmann has stepped up as a wise counsel and officer on dozens of community boards that have touched thousands of lives. Starting as president of Federation’s Young Adult Division in 1969 (now NEXTGen Detroit), Nachman moved through the ranks of community leadership — early on, as regional chair of the UJA Young Leadership Cabinet and other committee activities that earned him the recognition of both the William H. Boesky Memorial Award for Young Leadership (’68) and the Frank A. Wetsman Young Leadership Award (’72). 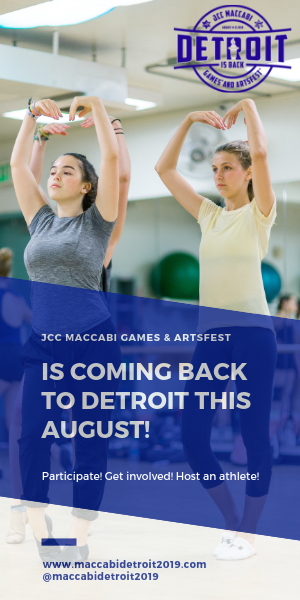 A consummate community volunteer, Nachman is co-founder and executive director of Cabaret 313; past president of Tamarack Camps (1980-1983), UJF (2003-2006) and Friends of Modern & Contemporary Art of the DIA; past vice president of Adat Shalom Synagogue and the Jewish Federation; and a current member of the boards of Hospice of Michigan and the Michigan Opera Theater and a governing member of the Detroit Symphony Orchestra. With his wife, Joy, (celebrating 48 years of marriage this November), Nachman continues to lead by example, living life to the fullest with a large circle of family and friends. The Nachmans are parents of Elanah Hunger (married to Rick) of Franklin and David (married to Briana) of Rowayton, Conn. Thrilled to be grandparents, Allan and Joy spend as much time as possible with Harrison and Dash in town, and out of town with Juniper, Bowie and newest member of the family, Ford, born in July this year. On Monday, Oct. 2, the community is invited to celebrate with Nachman and his family, as he receives the Fred M. Butzel Memorial Award for Distinguished Community Service at the Annual Meeting of the Jewish Federation and United Jewish Foundation of Metropolitan Detroit, 7:30 p.m. at the Berman Center for the Performing Arts on the Jewish Community Campus in West Bloomfield. Q: What is your definition of a community leader? I’d say there are four characteristics: first, a community leader is a volunteer — giving freely of time and resources — for all the right reasons. Second: he or she is knowledgeable and deeply connected to the community in which we live. Third: a leader has impact — someone who impresses with their values. And, finally, a leader is someone people want to work with and one who inspires in others the same passion for a cause or goal. Q: Please share a little about your family background. My dad, the late Harry Nachman, a first-generation American, came from Poland in 1928 (not particularly a good year to immigrate, but by far, a better year than for others who never had the opportunity). For fear of losing jobs here in America, immigration was open only to a small number of people able to come from Europe. So, my father emigrated through Halifax, Nova Scotia, with the help of an organization called the Hebrew Immigrant Aid Society (HIAS); through HIAS, he was sponsored by a doctor in Paris, Ontario — someone who didn’t know him at all. He was 20 years old when he started off in Windsor, and then, thanks to the assistance of Detroit lawyer Bayre Levin (the younger brother of Judge Theodore Levin and uncle of former U.S. Sen. Carl Levin), my dad finally got his visa to come to Detroit. 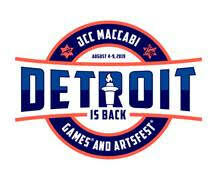 Q: Jewish Detroit has a long history of close-knit ties. Describe your neighborhood growing up. It’s true, we don’t have communities like that anymore. We were densely packed with people — families comprised of first- and second-generation Americans, all living within a couple of miles from one another. We were brought up with the same values, the same schooling, same synagogues and temples … our neighborhood was our foundation. Our sense of community was strong. Many of the people I’ve known since my youth became involved in Federation. Q: How did you and Joy meet? I graduated from Michigan Law School in ’63, moved to Lafayette Towers in Lafayette Park and, for six years, lived the life of a young single lawyer Downtown with many young professionals who became some of my best friends. Every year, we’d gather for a big party. I’ll never forget the night I looked across the room and set my eyes on a beautiful girl, Joy Orley. Three months after our first date, we were engaged — and married three months later. Joy and I bought a small townhouse in Lafayette Park where we lived until ’73. Joy and I made a lot of good friends in those years … One who we really miss is Irwin Alterman (z”l), my dear friend and my partner. Another good friend, Bob Rubin lived Downtown as well. Q: What drew you to real estate law? My son, David, is a real estate investor with a growing business throughout the United States. I think that both my son and daughter developed their interest in real estate starting with all the discussions we had around the dinner table. Looking back, I think of my father, who came here from Poland with next-to-nothing and ultimately made his livelihood in real estate. I wish my dad were around today to see how each generation has succeeded … this is every parent’s dream. Of course, there’s always been Joy in my life. She has been my first love and my partner in every way. I am proud of her accomplishments, both as a mother and grandmother, as well as a recognized clinical psychologist in Birmingham. Q: Allan, your record of accomplishment — including leadership awards, committee posts and executive offices with Federation — speaks for itself. How did you first get involved with Federation? Following that thread, as an undergrad at U-M, I got active in B’nai B’rith Hillel. When I came back to Detroit, I was already a committed volunteer. It was natural for me to look for opportunities, particularly those that fit with my Jewish background. So that’s how I aligned with Federation’s “Junior Division” (later known as the Young Adult Division — YAD — and now called NEXTGen Detroit). After serving as president of the Junior Division, I stepped up to the Young Leadership Cabinet of the UJA. Q: As a leader in the Jewish community, who are some of the people who have influenced your style of leadership? When I think of mentors over the years, Sam Greenberg immediately comes to mind. I was hired out of law school by his firm, Greenberg & Greenberg — a job I got by knocking on doors in search of work in real estate law. Sam Greenberg was a prominent lawyer and, at the time, he also served as president of Jewish Vocational Service (JVS). He took me under his wing, introduced me to JVS and left me with the indelible impression that volunteer work is an essential part of our life’s work and a piece of what a good Jewish citizen does. Joel Tauber also has been a good friend and role model. We have followed similar paths — both serving first as president of Federation’s Junior Division — then up through the ranks as officers of Federation and UJF. Q: What are some of your sweetest memories working on behalf of the Jewish Federation and then the United Jewish Foundation? Given all the friends and opportunities I’ve had, I’d call just about everything I’ve done a sweet memory. But looking back, one of the standouts is my involvement with the first of our community’s Teen Missions, back in the 1990s when Jane Sherman and Temple Israel developed the concept. Q: In your view, how have Federation and the Foundation changed over the years? One observation — as a result of changing times and growing needs — Federation runs more like a business today in the way it is professionally organized and structured. As a businessman myself, I can appreciate that fact. Q: How many times have you been to Israel and what were some of the most memorable missions? I’ve been to Israel 20 times. One of the most extraordinary mission experiences I had was Federation’s first community-wide Miracle Mission, which David Hermelin led in 1993 in celebration of Israel’s 45th anniversary. On that record-breaking mission, 1,300 Detroiters boarded three chartered El Al flights from Detroit Metro Airport direct to Tel Aviv. Most recently, I had the opportunity to participate in the Social Progress Mission, led by Mark Davidoff, for leading cultural institutions and foundations in the region. Our group included representatives from the DIA, DSO, the Detroit Opera Theater, the University Music Society of Ann Arbor, the Davidson Foundation, Kresge Foundation and the Kellogg Foundation. I was invited because I now serve as executive director of Cabaret 313, a nonprofit organization presenting cabaret performances in Downtown Detroit. The mission was an amazing meeting of creative minds — a unique opportunity to see Israel through new eyes. Q: Allan, in your quiet way, you are a man of many talents: an accomplished woodworker, a good dancer, a passionate art collector and co-founder of Cabaret 313 Detroit. What’s next? As anyone can see in our home, Joy and I love art. Music, too, is a mainstay in our lives. We both have a passion for music of all kinds, Broadway theater, classical, opera and country. Who knows what’s next, but today I continue to be involved in helping to lead Cabaret 313 and developing its audience. About five years ago, Joy and I discovered a genre of music called Cabaret — intimate evenings of song and storytelling that create a connection between artist and audience. When the Berman Theater was opening at the JCC, I sat on an advisory committee where I met Sandi Reitelman and discovered that she, too, had a passion for cabaret music. So, we got together and formed Cabaret 313 — a non-profit now in its fifth season with five major performances that occur in pop-up venues in Downtown Detroit. Sandi recently has stepped down, so now I find myself running the nonprofit as president, executive director, chief fund-raiser and marketer — and I couldn’t be happier donating my time and resources to this nonprofit, which is now a part of the cultural fabric of Detroit. I will say — over the “50-some” years I’ve been involved with Federation, I don’t think I’ve missed more than one or two annual meetings. To me, the presentation of the Butzel always has been an interesting opportunity to learn what makes leaders in our community, to learn a bit more about their lives and then to come up afterward, give them a hug and acknowledge their life’s work. This year, I’m deeply humbled to be the one recognized. This interview was first published on myjewishdetroit.org, where Vivian Henoch is editor.